Socially Conscious Beer is gearing up for its Nov. 30 Nothing Wasted event, featuring local breweries including Blind Bat Brewery and Sand City Brewing Co.
BEER MADE WITH BAGELS: A pair of local breweries will be serving up beers made with bagels during the Nothing Wasted event on Thursday, Nov. 30, hosted by Socially Conscious Beer. The event is intended to combat hunger and food waste, with proceeds benefiting both Island Harvest and Rescuing Leftover Cuisine. Both Centerport-based Blind Bat Brewery and Northport-based Sand City Brewing Co. are on the list of participating breweries that also includes Barrage, The Brewers Collective, Greenport Harbor, Spider Bite and Square Head. 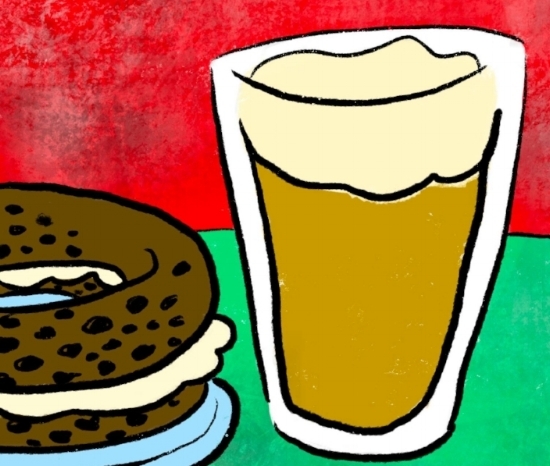 The bagels that were used to make the beer were provided by Long Island Bagel Café. The event, which will be hosted at the Melville Marriott (1350 Walt Whitman Road, Melville), costs $50 per person and kicks off at 6 p.m. LONGTIME RESTAURANT CLOSING: Mediterranean Snack Bar, a Greek restaurant in Huntington since 1975, is set to close on Dec. 23. Signs in the window of the 360 New York Ave. eatery read: "Retiring, Last Day, December 23rd. Thank You Huntington!" Longtime owner Steve Soulellis said he sold the building to an undisclosed party, which he added may be planning to open a new restaurant. Now through Dec. 23, Mediterranean Snack Bar will be open Sunday-Thursday, 11 a.m.-9 p.m. and Friday-Saturday, 11 a.m.-10 p.m. For more information on the restaurant, visit www.medsnackbar.com. HOLIDAY DISCOUNT: IMC Restaurant & Bar is offering a bonus $20 gift card to those who buy a $100 gift card, now through Dec. 23. The offer is valid either at the 279 Main St. restaurant in Huntington village, or over the phone by calling 631-824-6222. UGLY SWEATER PARTY: Long Island Fitness & Wellness in Commack is hosting its first annual members only holiday party on Friday, Dec. 8 at 7:30 p.m. at Skipper’s Pub (34 Main St., Northport Village). There will be a $40 open bar with appetizers, so break out your ugly sweaters and bring some energy. To become a member, click here. 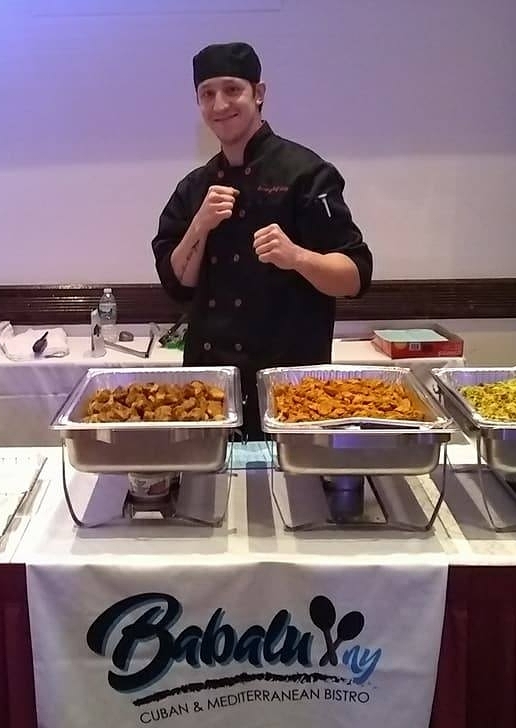 KNOCKOUT COMBO: Babalu owner and chef Alan Gotay was seen serving up Cuban and Mediterranean delights at last week’s Long Island Fight For Charity event in Melville. Gotay, who is a former professional boxer himself, also got to meet Cletus “The Hebrew Hammer” Seldin, a Long Island-based boxer who has fought at The Paramount in Huntington several times. Babalu opened its Huntington village doors at 286 New York Ave. earlier this year. For more info on the bistro, visit BabaluNY.com.